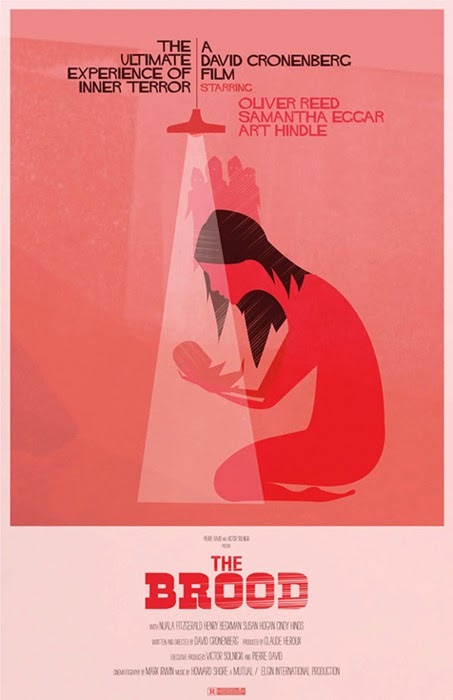 The Brood was one of a very short (and ever-shrinking) list of David Cronenberg-directed films I hadn't seen. It's his fourth feature not counting his student films Stereo and Crimes of the Future, and marks the beginning of his transition from pure body-horror exploitation movies to more dramatically-minded thrillers (although his roots in body horror would still show until at least the turn of the century). It follows the story of Frank Carveth and his young daughter Candice as they struggle with the deteriorating mental state of the child's mother Nola and her experimental therapy with psychoplasmics. Also, there are creepy mutated little people, and they may or may not be controlled telepathically. It's a weird movie. Ever since I began writing reviews, I've been intrigued by the question of what drives a story—by the idea that similar stories can be driven by different things. The two most common types of movie stories are driven either by their plot or character development, but there are also more artsy movies driven by their sense of atmosphere or visual storytelling. Different types of movies appeal to different types of people, and as far as I can tell the best movies do a bit of everything. But The Crood is something else entirely: it's driven by its ideas. This is a much more difficult prospect because there are no established developmental arcs for ideas. You have to feed the audience enough information to keep them interested, but hold enough back to sustain the sense of mystery. Perhaps most importantly, you have to provide a coherent and unified thematic structure (i.e. it all has to make sense). This is only truly accomplished by the very best of films (2001: A Space Odyssey comes to mind), and The Brood isn't quite up to the task. The problem with it from a traditional storytelling perspective is that all the character development is delivered through exposition. In other words, instead of watching and experiencing the central characters' changes, we're told about them by other characters like Dr. Hal Raglan and the police psychologist. Furthermore, the scary set pieces are too infrequent and insubstantial to pull the story forward on their own. This is all fine, but it causes the idea of psychoplasmics to take center stage rather than the characters or the action, and personally I didn't find it compelling enough to carry 90 minutes worth of story. The ending is definitely powerful, but everything leading up to it felt a bit lifeless (which certainly wasn't helped by the excellent but downcast and melancholic score from Howard Shore). This is all to say that in The Brood we can see the seeds of Cronenberg's excellence which will begin to sprout 4 years later with his first unforgettable masterpiece Videodrome, but they're still just seeds to my eyes and need a bit more watering.